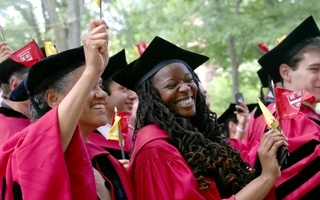 Students from the Graduate School of Arts and Sciences at Commencement in 2016. Harvard graduate students have continued to advocate against Republican tax proposals that could hike their taxes and cut into the University’s endowment, stepping up lobbying efforts as Congress prepares to finalize next year’s tax plan. One of the Republican provisions—included in the U.S. House of Representatives’ bill —revokes the tax-exempt status of “qualified tuition reductions” that universities give to their employees and paid graduate students. 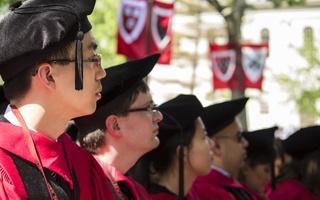 A tax expert estimated that taxing Harvard’s tuition grants could cause up to half of graduate students’ $35,000 stipend to go to taxes. 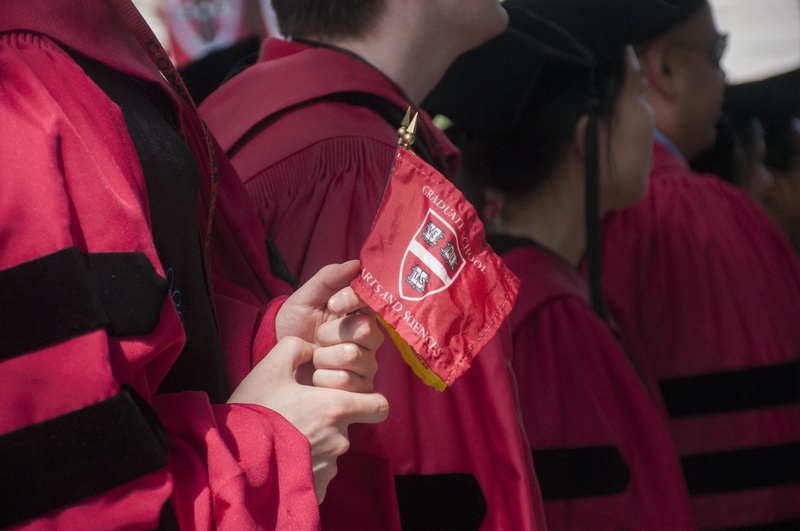 The Senate and House have also proposed an excise tax on large university endowments, a proposal that would cost Harvard $43 million next year, according to University Provost Alan M. Garber ’76. Both bills passed their respective chambers in recent weeks, and a conference committee will convene to reconcile differences between the proposals and develop a finalized tax plan as soon as this week. As lawmakers debate the specifics of the legislation, graduate students have called and written to members of Congress involved in negotiating the finalized proposal, asking them to oppose provisions affecting graduate students. Last week, organizers from Harvard Graduate Students Union-United Automobile Workers held a week-long phone bank to call legislators. Singh said that even if the House’s provision taxing tuition reductions is struck from finalized bill, other parts of the proposals—such as the endowment tax—could still affect graduate students. “We know what happened the last time the endowment did poorly. 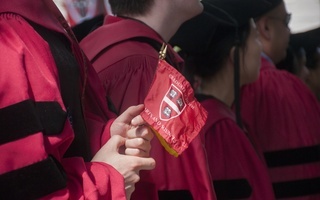 Grad workers received, effectively, a pay cut, while Harvard rents and cost of living, in general, was rising,” Singh said, referring to this year’s below-average stipend increase for graduate students. The size of Harvard’s endowment dropped by almost $2 billion in fiscal year 2016. Other students, meanwhile, have reached out beyond Harvard to seek support for their cause. Alana Van Dervort, a biomedical sciences graduate student, published an open letter on Medium in late November, asking lawmakers to oppose taxing tuition deductions. The letter, which has since gathered over two thousand signatures from graduate students and faculty across the country, will be sent to legislators on the conference committee, according to Van Dervort. Van Dervort, who is also a medical school student at Case Western University, said the tax bill would be particularly harmful to joint degree students like herself. Graduate students expressed hope that their advocacy would influence lawmakers’ thinking on the tax proposals. These attempts to lobby Congress against the tax provisions follow University officials’ own efforts to reach out to legislators about the tax plan. On her latest trip to Washington, D.C., University President Drew G. Faust urged members of Congress to vote against the plan. In recent weeks, she has spoken to Senate Majority Leader Mitch McConnell, Senate Minority Leader Charles E. Schumer '71, and alumni in Congress about the bill. 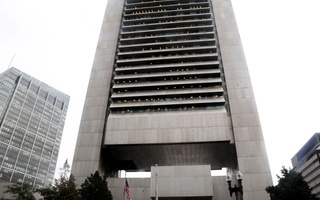 A vote on the finalized tax proposal is expected before the end of the month.